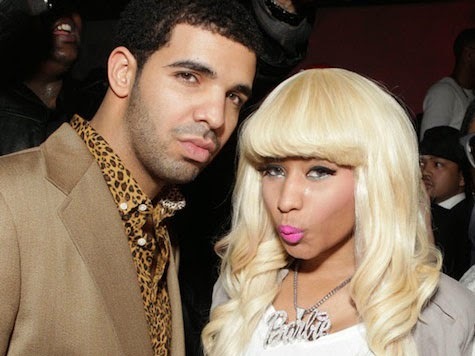 The latest scoop on Nicki Minaj and Drake could be an eye opener to the fans as it sheds light on what is going on between the rappers. Even though they have always admitted their love for each other(if begging Nicki to sleep with you will suffice as love),hinted marriage and unabashedly showing affection in a couple of videos.The standard truth is they're just friends. Interestingly,it was revealed they can't be more than friends. Indeed,they have the most bizarre Hollywood relationship ever and surprisingly,I breathe a sigh of relief that these two are not an item.